A transfer from Tennessee, Gray played only two years in Berkeley, but they were among the most memorable in school history. When he signed with Cal it merited one sentence in the San Francisco Chronicle: "College of Southern Idaho basketball player Ed Gray, a former player at the University of Tennessee, has signed a letter of intent to attend UC-Berkeley for the 1995-96 season." Gray was a JC All-America and a great recruit, but couldn't help but look small next to classmate Shareef Abdur-Rahim. Gray got off to a hot start, averaging 16 points through the first two months of the season, before Todd Bozeman benched him for missing classes. He eventually applied himself well enough in the classroom to stay in Bozeman's good graces and contribute huge performances on the court (22 in an upset of #9 Arizona, 27 against ASU). Gray was occasionally erratic, falling into slumps that led to subpar performances (2 points against USC), but when he was on no one in the Pac-10 could guard him. He ended the year with 15.6 ppg, and was named Pac-10 Newcomer of the Year. The Bears limped to the finish line and were knocked out in the first round of the NCAA Tournament by Iowa State. After Abdur-Rahim left for the pros, Gray became new coach Ben Braun's first and last option on offense in 1997. He got right to work, scoring 20 points in an upset of Iowa in Braun's first game at the Maui Invitational. He then added 32 in a loss to #2 Kansas, and 24 in an upset of #17 UMass that gained Cal a surprising 3rd place finish in Maui. Then came 30 points in an overtime win over Illinois, 26 against Penn State, and suddenly nobody was talking about Shareef. Gray continued his torrid shooting throughout the conference season, leading the Bears to a 2nd place finish in the Pac-10. It was Gray's shot (giving him 29 points) that put the nail in UCLA's coffin at Pauley in January of '97, giving the Bears hope that they might win the crown; but losses down the stretch to WSU and Stanford kept the Bears from the title. 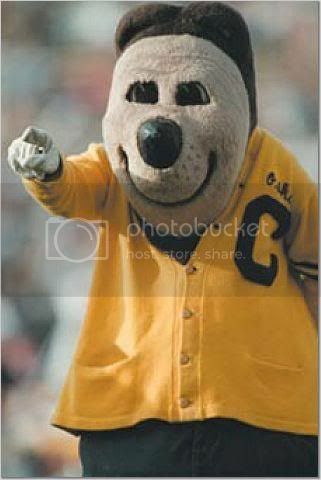 His greatest game as a Golden Bear was unfortunately his last. In that loss to WSU at Friel Court, Gray was unstoppable, scoring 48 points on a combination of long-range jumpers and drives to the basket. With 1:14 left he soared above the Cougar defense and was fouled in a dunk attempt; after hanging on the rim for a second or two he fell to the floor and fractured a bone in his right foot. Without their top scorer, Cal still somehow made a memorable run to the Sweet 16; one wonders how far they might have gone if Gray had been pouring in his usual 24 points per game. Even with the sour ending, Gray's senior season was perhaps the greatest individual performance in school history. He averaged 24.8 ppg, and left Berkeley with the records for the highest career scoring average (20.0 ppg) and the most 30-point games (six). Gray was named Pac-10 Player of the Year and a third-team All-American by the Associated Press. 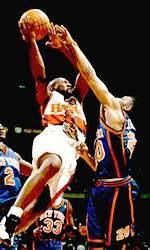 He was drafted 22nd overall by the Atlanta Hawks in 1997, and his two-year career in Atlanta was marked by injury, inconsistent play, and off-court troubles. He played for a bit in the CBA, and then in London, and then we lost track of him. As the Cyberbears' handle asks, "Whatever happened to Ed Gray?" He also had the second greatest in-game dunk I've seen by a Cal player. Monty Buckley over the entire city of Palo Alto, Stanfurd University, the ghost of Leland Stanford Junior, Brevin Knight, Todd Lichti, Tiger Woods, Summer Sanders, Hewlett and Packard, Mark Madsen, the Lopez Twins, Adam Keefe,the Collins Twins, my high school friend Shervin, East Palo Alto and Mike Montgomery. Brevin Knight and Montgomery were the only people present though. Ed Gray was such a figure for the Cal team. I remember just being in awe at the dunks he would do, and he always lead the team to some strong heights. You have to really respect how much influence this guy had.